Could BPH’s Brain Monitoring Device Gain Global Acceptance? The micro-cap stock BPH Energy Limited (ASX:BPH) has an interest in a number of unique and varying plays, but the one we are most interested in at the moment is Cortical Dynamics Ltd , a medical device company developing the next generation of brain function monitors. You’ve been feeling terrible for weeks. There’s something wrong with you, but you’re told there are medical professionals who can help. You trust them and, in their care, you are voluntarily rendered unconscious. Suddenly, you begin to wake up... and as your awareness grows, all you can detect is immense and unspeakable pain. You are being hacked open, ripped and torn apart. It’s a level of pain you never knew possible, and at such a level that it seems incredible you are still alive. At least, you think you’re alive – but you can’t move. What is this hell you’re enduring? Then it dawns on you. You were having an operation. And it’s still happening – you’ve just woken up way too early. Silent and still, you can only panic on the inside, unable to communicate to anyone that you are awake. If this scenario happened to you, you’d be in the approximately 1 in 1000 patients who’ve endured such a horrifying ordeal. And the worst part may not even be the operation, but the aftermath, with reported cases of intraoperative awareness causing post-traumatic stress disorder and other mental illness, in some cases even leading to suicide. Through Cortical Dynamics, BPH has a stake in an award winning device known as the Brain Anaesthesia Response (BAR) monitor, which is designed to improve on currently used electroencephalogram (EEG) technologies by incorporating the latest advances in our understanding of how the brain’s rhythmic electrical activity, the electroencephalogram (EEG), is produced. In other words... it can check the physiological state of the patient’s brain. Its main purpose is to make surgery safer for patients and more cost-effective for hospitals and surgeons. Considering there are around 234 million major surgical procedures undertaken yearly worldwide, those are some pretty big goal posts in a pretty big market. In 2012, the global brain monitoring market equated to $1.08BN and is poised to grow at a CAGR of 8.6% to reach $1.63BN by next year. With Cortical now having initiated the commercialisation phase of its groundbreaking technology it could play a major role in the growth of the industry. Keep in mind however, that this technology is in the early stages of commercialisation, and this is a speculative stock. There is no guarantee of a successful investment here. You should apply the appropriate level of caution to all investment decisions and seek professional financial advice. Just a few months ago Cortical signed over exclusive distribution rights within Australia and New Zealand to a key player in the healthcare tech distribution space. It has also caught the eye of some of the broader industry, having just taken out the Advanced Manufacturing category at the Australian Technologies Competition (ATC) awards. In a significant achievement, the company was also runner up as the Australian Technology Company of the Year. Cortical could now be considered one of Australia’s best technology companies, having competed against some of the country’s leading technology companies. This could now have BPH thinking about extending its current holding in Cortical from 3.89%, and exercising its option to take over 10%. Interestingly, BPH received a speeding ticket from the ASX after Cortical was announced as a finalist on the back of managing director David Breeze delivering a roadshow to investors about the benefits of this new technology. It clearly had an impact, and it may not take much to move this company’s share price again. With that in mind we catch up with this tiny $2.1M capped company that could have significant upside should its assets such as Cortical continue to gain traction in the market. 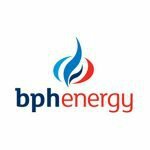 BPH Energy (ASX: BPH) has three investee companies – two in the biomedical technology sector including Cortical Dynamics and Molecular Discovery Systems; and the third is an unlisted oil and gas play Advent Energy Limited (in which it has a 27% interest). You can read about these companies in our first article on BPH: Triple Play: The ASX Micro Cap Pursuing Billion Dollar Markets . In that article we outline how it is trying to build its valuation through its diversified portfolio of assets focused on delivering into large markets, including biotech (brain function and liver cancer) and oil and gas. In this article we are focusing specifically its interest in the medical device company Cortical Dynamics. BPH has been making a lot of progress with investee company Cortical Dynamics and it hasn’t gone unnoticed, with the industry this month highlighting them among other burgeoning tech companies. Cortical was nominated in the Australian Technologies Competition (ATC) awards in Sydney this month. Highlighting the company’s important work in the field of brain monitoring, Cortical was named Runner Up of the Year among all its peers, in the key prize of the competition against approximately 130 companies. More than that, they won first prize in the Advanced Manufacturing category. This is an excellent victory for Cortical and equally welcome news for its investor company, BPH. Put it this way – you might know you’re onto a winning thing, but it sure helps to have it publicly recognised. 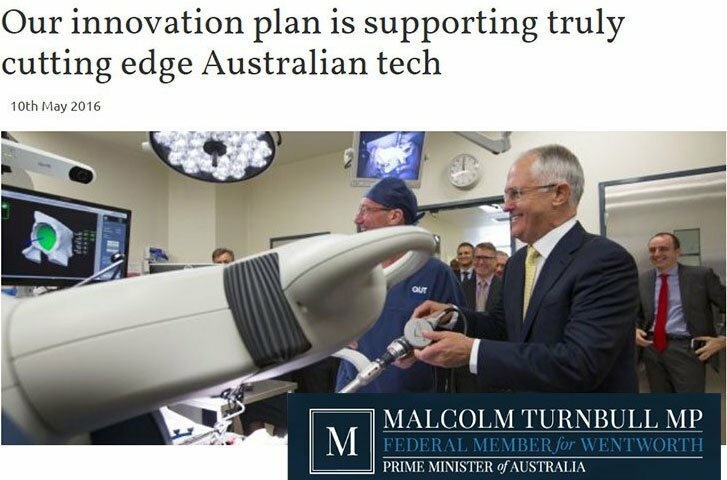 Particularly in a competition highlighting Australia’s best and most skills intensive companies forging the way in high-tech industries. Now in its sixth year, the competition provides small cap companies with recognition as well as mentoring and access to global partners. Its impressive list of supporters include the Australian Government’s Industry Growth Centres, the NSW Department of Industry, and National Energy and Resources Australia. It also has the support of the UK Department for International Trade and the Hong Kong Trade and Development Council. Those recognised in the awards are chosen not just for the superiority of their technology but for the quality of their management and overall business plan. In order to walk away a winner, the companies (all based in Australia) must persuade the judges that they have a strong ability to expand into global markets. The BAR device looks to be shaping into just the global success story the competition judges had in mind. Cortical announced in August that it had been invited by the Australian Trade and Investment Commission (Austrade) to attend and present at the Austrade Medtech Innovation Showcase 2016 in Korea – bringing together senior executives with leading Korean pharma and medical device companies. 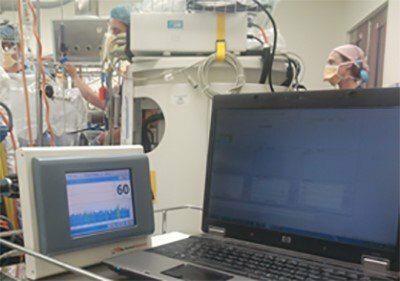 Korea is Australia’s third largest export market, ahead of India and the USA, and Cortical are now in serious discussions with Korea regarding the use of BAR monitors by leading hospitals and professors of anaesthesiology. Cortical and BPH are also currently engaged in distribution discussions with Germany, France, Korea, Iran, Hong Kong and intend to also go into the US. The more agreements the company can secure, the more it can get this potentially life-changing technology into hospitals across the globe. With the tick of approval from TGA and the CE mark necessary for marketing in Europe, things are looking up. Cortical is now commencing its sales campaign in the brain monitoring market – a market worth $1.08BN as of 2012, set to be worth US$11.5BN by 2020 across all segments. In June this year, Cortical signed a Letter Of Intent (LOI) with Device Technologies Australia Pty Ltd for Cortical’s BAR Monitor for exclusive distribution rights within Australia and New Zealand for the sale of products for 6 months, and subject to overall market assessment outcome, Device Technologies will have the right to extend those exclusive distribution rights for an additional 4.5 years. However it is difficult to know just what may come of these agreements and how much revenue they could generate in future. Investors should therefore take a cautious approach to their investment decision and weigh up this information with all other publicly available information before making a decision. Those in the brain monitoring business and even investors with an interest should be paying attention, as Cortical’s game plan shows no signs of slowing down. So what is the science behind their brain monitoring breakthrough? Incorporated in 2004, Cortical has focused on developing and commercialising a brain monitoring technology developed at Swinburne University of Technology in Melbourne. 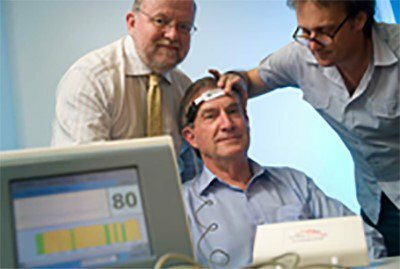 Professor David Liley led research resulting in the invention of a new methodology which uses a complex mathematical algorithm to quantify important physiological features of higher brain function in real time. This is how the company explain it: The core technology is based on real time analysis of the patient’s brain electrical activity, electroencephalograph (EEG), using a proprietary algorithm based on a mathematically and physiologically detailed understanding of the brain’s rhythmic electrical activity. That’s a bit of a mouthful. But basically, existing monitors have failed to adopt a physiological focus which measures EEGs accurately to determine patients’ current awareness, and also alert monitors to imminent awareness (in other words, warns the anaesthesiologist when a patient is waking up on the table). These are the highly compelling factors of the product, which no other device has been able to achieve. Consider the fact that up until now, there was no truly reliable way to monitor consciousness or awareness in the brain of patients undergoing surgery. In a significant marker on the road to commercialisation, the BAR device has now received Therapeutic Goods Association (TGA) as well as the CE mark for the CCS index to be sold in Europe. Let’s take a closer look at the specific problem the company is aiming to solve. An anonymous study was conducted in 2014 of Australian anaesthesiologists with 289 of the anaesthesiologists participating. 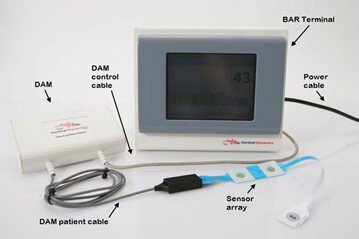 The study looked into the use and effectiveness of depth of anaesthesia (DoA) monitors in surgery. Of this group, about 30% reported having a previous case of intraoperative awareness . Clearly this is a bigger problem than just the odd horror story. The study also found that Australian anaesthesiologists have a higher level of acceptance of the common use of DoA technology – which is a promising indicator of the success of Cortical domestically. This issue of people waking up mid-surgery is not a new one. It was over 20 years ago now, in 1994, when a monitoring technology was created – bispectral index or ‘BIS’ introduced by Aspect Medical Systems (acquired by Covidien in 2009 for US$210M) , a device which the manufacturers claimed would measure ‘depth of anaesthesia’. However since it was cleared by the FDA, there have been occasions where it was proven to fail to detect consciousness in a patient. Around 46% of general anaesthesia administration involves neuromuscular blockade drugs. And the use of these drugs directly interferes with the accurate monitoring possible with the current BIS device. With BIS, there is a range which acts as a guidance to a patient’s level of anaesthesia and awareness. The manufacturers recommend between 40 and 60 as the appropriate reading for patients during surgery. However, in two key research papers: Response of bispectral index to neuromuscular block in awake volunteers and The bispectral index declines during neuromuscular block in fully awake persons , volunteers were given neuromuscular blocking drugs (NMBs) as though they were going in for surgery, and were monitored by the BIS. The BIS values decreased (to indicate lack of consciousness), yet the volunteers actually remained conscious throughout the entire experiment. The BIS did not detect this. The study proves that it was possible for subjects to be paralysed, fully conscious, and yet the traditional devices for detection of such a situation were more or less useless. Research indicates that in 97% of reports of intraoperative awareness, the patients were administered neuromuscular blocking drugs. These drugs are necessary to facilitate the placement of a flexible tube in the trachea in order to deliver anaesthetic gases and oxygen, to decrease patient movement that would otherwise disrupt the procedure and to reduce muscle tone in order to improve the operating conditions for the surgeon. So essentially using NMBs are used for three main reasons: facilitate intubation, decrease patient movement, and to improve operating conditions for the surgeon (e.g., reduce muscle tone as stated above). So ceasing the use of NMBs is out of the question. So why not just err on the side of overdoing it with the anaesthesia, since the ramifications of under-anaesthetising are so great? The obvious reason is because too much anaesthetic is lethal. Further, however, is the fact that if giving someone too much anaesthetic doesn’t kill them, it can still create post-operative complications like delirium, cognitive dysfunction, respiratory problems and so on. Cortical’s BAR monitor has several pluses against the leading device which it sets itself apart from. Anaesthetics have been proven to produce observable changes on an EEG, so it makes a lot of sense to focus on this area when monitoring anaesthetised patients. The company has completed several clinical trials, one of them conducted on patients undergoing cardiac surgery at St Vincent’s Hospital in Melbourne. The BAR monitor is believed to be the only device currently able to indicate levels of both hypnosis and analgesia. The BAR is also the only option to produce a reading within 2 seconds – in comparison to around 30 seconds for the current market leader. The BAR monitor also offers a practical solution for surgeons and anaesthesiologists. It requires just a single adhesive sensor placed on the patient’s forehead which delivers information in real time. 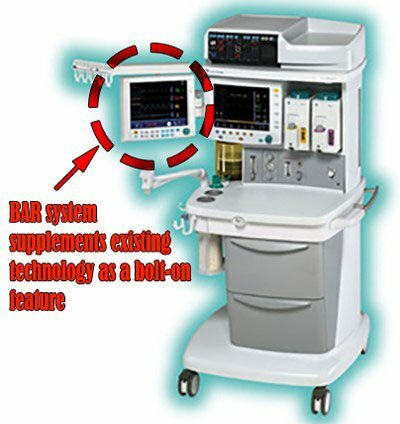 While state of the art technology like the BAR monitor may not be cheap, it could be seen as a significant cost-saving investment for hospitals, who face litigation costs associated with medical blunders – like anaesthesia awareness post-trauma or side effects from too much anaesthesia (particularly in elderly patients). What comes of any commercial arrangements made between Cortical and the hospitals for its technology remains to be seen, so investors should take a cautious approach to their investment decision and seek professional financial advice. Studies have shown that 37-46% of all surgical patients are affected by post-operative delirium – both costly and risky, as it can put patients at an increased risk of death post-operation. Check out this research more generally on the topic of ‘adverse events’ in Victorian hospitals from 2003-04 which outlines the estimated numbers of incidents (in the thousands) and the costs (in the millions). So an effective product which may prevent some medical blunders automatically has a huge global market. It’s also an added reassurance for patients, as many have a fear of waking up during surgery. The answer to a long-held dream? As Cortical looks to legitimise and sell its BAR device, the hope is to fulfil the promise first made in the ‘ether dome’ by dentist William Morton more than 150 years ago. The ether dome was named such because it was the first time ether was used as a surgical anaesthetic, with success, on an operation to remove a tumour. His promise was to end the nightmare of waking surgery. Which exactly what BPH hope to do through its interest in Cortical. With both companies working closely together, not only could we see the technology gain worldwide acceptance, but BPH could be in for a further re-rate as investors also take note.